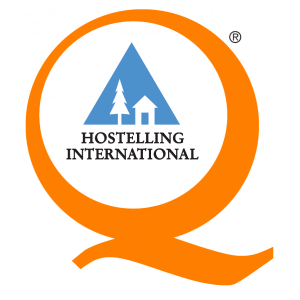 A 10% discount on all nightsbooked at youth hostels across the Hostelling International network. Discountedentry to many tourist and cultural attractions in Brussels and Wallonia. Discountson many products and services outside Belgium (for more information, please contact the Hostelling International youth hostel organisation in the country in question). 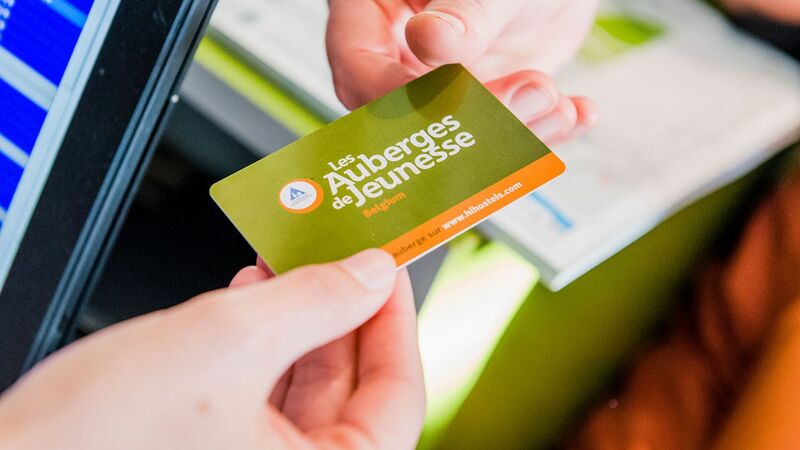 Subscription to our e-newsletter(optional), so you can keep abreast of the latest news from Les Auberges de Jeunesse. There is no age limit – anyone can have a membership card. The card is personal to you – group members cannot share the same card. There is a separate group card for schools and recognised clubs, charities and non-profits (non-profit organisations, youth organisations, sports clubs, etc.). Only one card is issued per group, in the name of the group or the designated group leader. For family cards (one or two parents staying with one or more children under 16 years), a single payment of €25.00 is required. Each family member (between two and nine people) will receive their own card. Please provide each family member’s full name, address and date of birth when applying for the card. The card is free for schools in Belgium. You can get your membership card by going to one of our Youth Hostels (our head office in Brussels does not issue membership cards) or by ordering it by email (mention your name, first name, date of birth, address and gender) and paying the amount of the order on the account number BE67 0010 1183 5187 in the name of "Les Auberges de Jeunesse asbl".